See more objects with the tag personal, rounded, collapsible, protection, tool, multipurpose, folded, mechanical, sharp, innovative, cutting, survival, pointed. This is a Pocket Knife/Multitool. It was designed by Victorinox and manufactured by Victorinox. It is dated introduced 1985 and we acquired it in 2013. Its medium is assembled stamped, forged, polished stainless steel, aluminum, brass, molded cellulose acetate-butyrate (cellidor®); cut and stitched leather, velcro (case). It is a part of the Product Design and Decorative Arts department. The familiar compact form of the Swiss Army knife, as its name suggests, began as a practical tool for soldiers. The Swiss Army knife as we know it was developed by Swiss cutler, Karl Elsener, in 1891, when he won the contract to produce the knife from the previous German manufacturer. 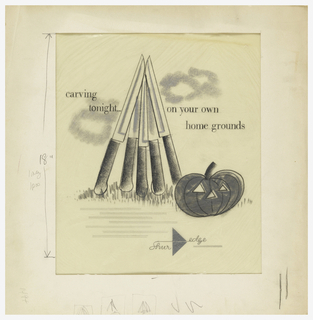 Elsener’s original knife contained a steel blade, reamer, can opener, and screwdriver in a metal and wood housing. 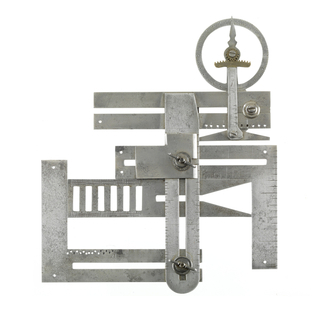 Dissatisfied with the weight and limited functionality of his first version, by 1896 Elsener had made improvements and succeeded in attaching tools on both sides of the handle using an innovative spring mechanism that also held the tools in place. The pocket-sized knife included twice as many features as its predecessor and could be considered the template for the contemporary Swiss Army knife range: it was easy to hold, had an elegant outline, and used only two springs for six tools. Elsener’s redesigned knife was well received by the Swiss army and also found favor in the public marketplace. By 1897, the knife was sporting the now familiar red housing; by 1908, the emblem of the shield and cross was embossed on its side. Stories of use by the military, explorers, and even astronauts, have made the Swiss Army knife synonymous with dependability and quality in function and design. Both the form and emblem inspire contemporary consumer confidence, whether the knife is intended as a convenient multitool for daily activities or as a compact emergency tool kit for any contingency. 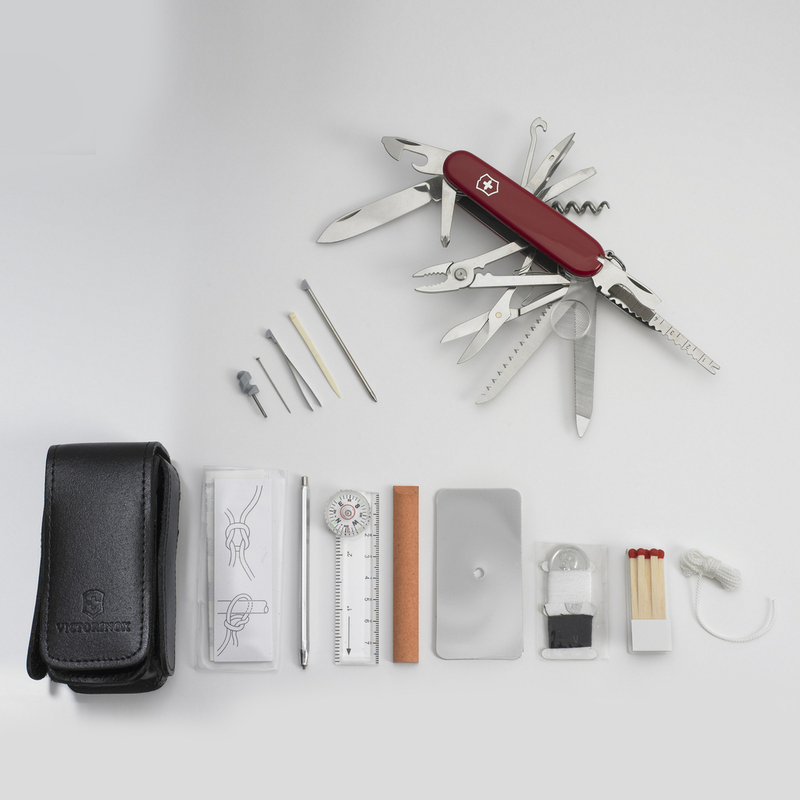 The Swiss Champ SOS is a survival kit in the form of a pocket knife. 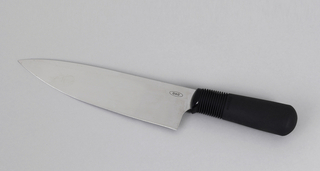 The knife itself comes with 33 standard implements—various blades and tools that pivot out of the tough and resilient stainless steel body, and several that can be removed from slim cavities in the durable red plastic. The tools include a can opener, pliers, magnifying glass, toothpick, tweezers, and pen. The black leather case houses the knife as well as an additional 14 items, such as a sharpening stone, matches, signal mirror, sewing kit, ruler, spirit level, and compass. Together, the knife and case contain a total of 101 survival features in a compact form that is easy to carry, hold, and use. The Swiss Champ SOS is proposed for acquisition together with the Victorinox@work. Together, they would be the first examples of Swiss Army multitools to enter the museum’s collection. This object was depositor: Victorinox. It is credited Gift of Victorinox.